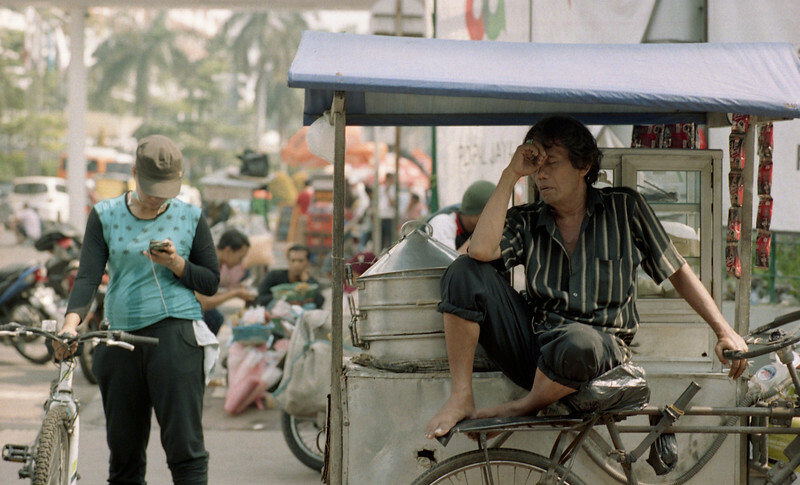 Another roll from Jakarta I missed. Well to be honest, another roll I had not developed when I had returned from Jakarta. 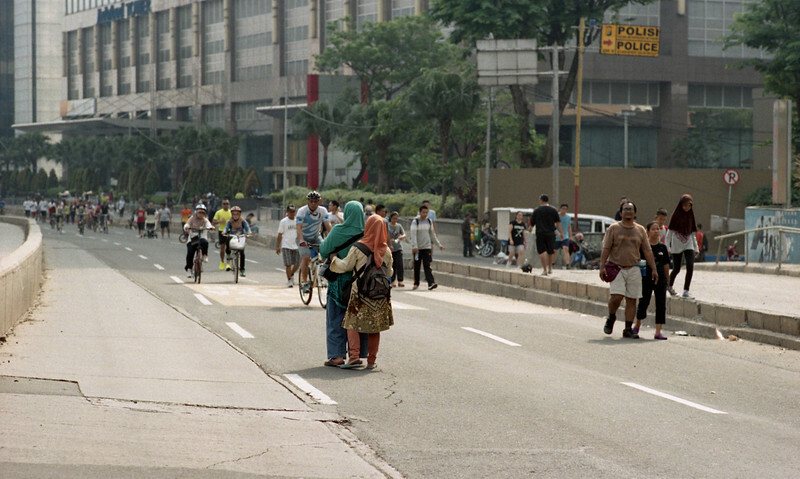 Sadly only one or two shots came out alright, everything else was crap – taken on a Sunday when Jakarta would close one of their main roads into the city converting it into one giant predasterian. It would start from 6am until 1pm. Once the clock struck 1pm, traffic would be again open to cars and like migrating wilderbeast in Africa, cars would come streaming through the roads like nobody’s business especially for a Sunday afternoon. Jakarta, Indonesia – With only 2 weeks before golive and handover, I decided to go sight seeing around Jakarta. I tried to find many reasons to like the city, but I have to say this, it was rather similar to Malaysia and didn’t really find anything interesting or worthwhile.